If you do not have a bank account or don’t wish to give out your bank information, don't worry! You can have your IRS refund check mailed directly to you in 4-7 weeks. 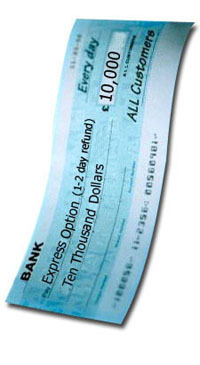 Note: bank fee is an addition to the tax preparation fee.